Kozhikode, May 21: Health-related issues are such that needs proper tackling and given undue importance. In the wake of Nipah virus spreading across places have led to the death of almost ten people in Kerala. In this pretext, the Union Health Minister JP Nadda has asked the Director of National Centre for Disease Control (NCDC) to visit Kerala's Kozhikode district to assist the state government. Seeking direction by the health minister, the center team has headed forward to assist the state authority and healthcare facilities for the people. The death toll in the Nipah virus attack in Kozhikode district in Kerala is reported to have raised to 6 as three more people died on Sunday night. Pune based National Institute of Virology has confirmed that the deaths were due to Nipah Virus infection. Nipah virus is spread by fruit bats and causes severe disease in both animals and humans. The virus can be transferred from a human through close contact, body fluids, saliva, and cough. Nadda yesterday instructed the Director of National Centre for Disease Control to visit the district and initiate required steps as warranted by the protocol in consultation with the state government. Earlier, three people reportedly died in Kozhikode district of Kerala due to Nipah virus. The incubation period for the virus ranges from 5 to 14 days and symptoms become visible after this period. Symptoms include fever, headache, fainting, and nausea. In some cases, symptoms like choking, stomach pain, vomiting, fatigue and blurred vision could also be there. The patient can possibly go into a coma just two days after the symptoms begin. The chance of contracting encephalitis that affects the brain is also high. Take caution to ensure that food is not contaminated by bats. Take precautions to ensure bats don’t eat the food or drop feces on it. Do not eat fruits that may have been bitten by bats. It is also important to safeguard oneself after coming in contact with someone who has contracted the virus. It is important to maintain a distance from the patient, to sanitize and wash hands thoroughly. Clothes, utensils, and items typically used in the toilet or bathroom, like buckets and mugs, should be cleaned separately and maintained hygienically. India has been a target to many infectious diseases and this new Nipah virus has spread like fire lit by kerosene. 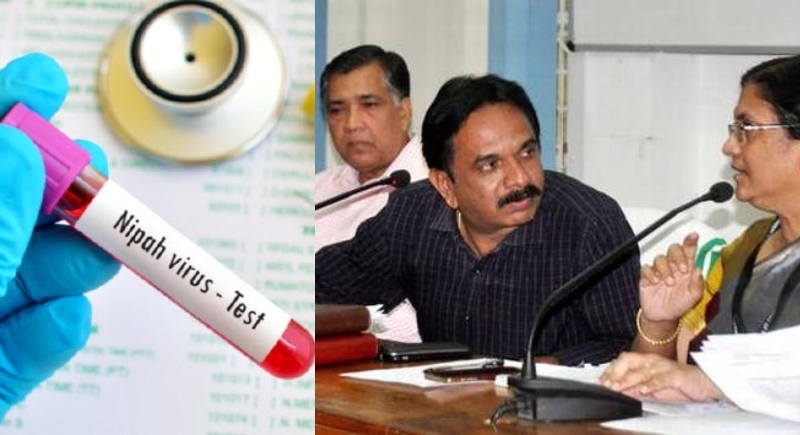 Taking cognizance into the matter, the health ministry has unduly taken measures to prevent the disease as there is no vaccine brought out to deal with it. Experts say that prevention is the best way to stay alert and stay away from such diseases.